Machu Picchu is the holy grail for any traveler visiting South America, and although the Inca Trail is one of the best hiking trails in the world, you do not have to walk for 4 days to reach the wonder of Machu Picchu, you can use the train; However, the Inca Trail is perhaps the most magical and impressive way to enter Machu Picchu. But if your time is limited, you are worried about the physical challenge or you are simply not willing to sacrifice your comfort, you can still get to Machu Picchu by train and without effort. More than 75,000 people travel the 40 kilometers of the Inca Trail to the Inca city of Machu Picchu every year. The landscapes are really impressive, but it is not for the faint of heart; altitude, steep climbs, extreme weather and camping, deter many people from doing the Inca Trail. Only 6% of the people who enter Machu Picchu each day do it by the Inca Trail, so more than 85% of daily visitors to Machu Picchu choose to arrive by train; the final station is in Aguas Calientes (Machu Picchu town) the closest town to Machu Picchu. The main station to board trains to Machu Picchu is located in the city of Ollantaytambo; It will take you two hours to get to Aguas Calientes, the town at the foot of Machu Picchu. You can also make your visit Cusco – Machu Picchu – Cusco in just one day. This will leave you time to see the main places in Cusco and the Sacred Valley of the Incas. You will not need to carry a heavy 30-liter backpack on your back during your trip, nor could you board the train with it; but we mean that you will not need tents, rain ponchos, portable kitchens, energy bars, etc. Suffice with your headphones, a book, your camera, sun protection, water and a couple of other things. The train trip to Machu Picchu allows you not to worry more than just enjoying the trip, so create unforgettable memories. The train ride will not only allow you to sit comfortably, but you can also choose the train, depending on the service you want on board. Put the list of music you chose to relax while touring the natural Andean landscape of the Sacred Valley. There are many train services, all of high level, choose one and read that book under the warm rays of the sun, make new friends from around the world or just close your eyes and enjoy, you are about to reach the Inca city of Machu Picchu. 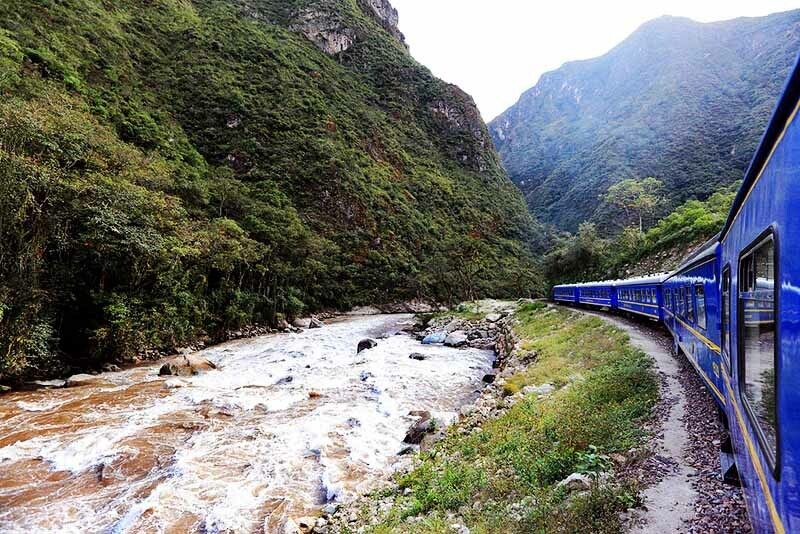 The Hiram Bingham train is the most luxurious train to Machu Picchu and one of the most luxurious in the world. It will take you on a trip where you can enjoy the elegance and those details inspired by the old “Orient Express”; It will take you on a trip as comfortable as it is charming. You can enjoy a gourmet lunch, live Peruvian music show, and its varied drinks menu, and the observatory car, with a panoramic view of all the amazing places in the valley. How to enter Machu Picchu? It would be unfair to talk to you about Machu Picchu and not tell you that you have to book tickets in advance, especially if you want the ticket that includes the Huayna Picchu mountain; this has to be booked several months earlier. But it’s not enough with just the Machu Picchu tickets to reach the wonder, you will also need to book train tickets. During peak season (May – August) all reservations must be made months in advance. 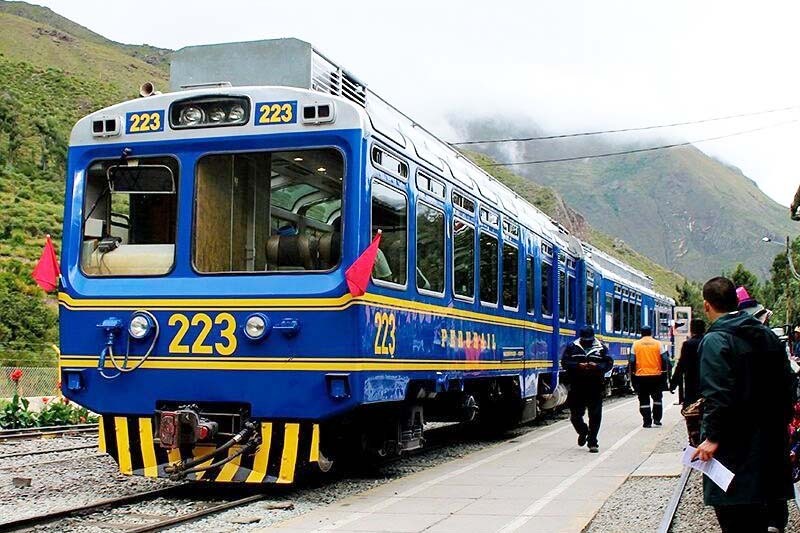 Most trains to Machu Picchu depart from the Ollantaytambo station; Once in this place you will board your train to Machu Picchu, as long as you have booked the tickets in advance. It is impossible to get tickets available at that time. One of the best strategies to get to Machu Picchu on time, whether you just want to be the first person, or if you book Machu Picchu tickets that include the mountains in the first groups is; If possible, spend the night before your visit in Aguas Calientes and be one of the first people to enter Machu Picchu, the dawn will seem magical and is the closest you will be to being alone in Machu Picchu; however, the people who enter Machu Picchu in the afternoon shift, can enjoy the sunset. The 4 pm light is considered by many expert and amateur photographers, the best time to photograph Machu Picchu. If you decide to go beyond Machu Picchu and ascend to one of its fabulous mountains – Machu Picchu or Huayna Picchu – know that these tickets are very limited and that to access them you must book several months before. Thousands of people board the train to Machu Picchu at the Ollantaytambo station every day. 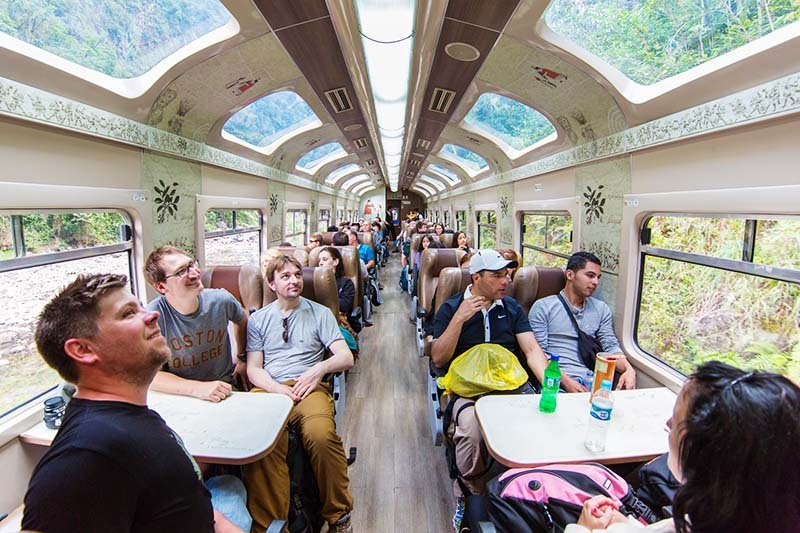 If you have already chosen your Machu Picchu ticket, choose your train, the Expedition, the Vistadome, the Hiram Bingham. If you do not know which one to choose, please contact us by writing to info@boletomachupicchu.com.